24 inch Flat Tip hair extension deep curly dark brown and deep wavy light brown color collection features genuine Remy human hair that lasts wash after wash, up to 1 year of wear! We have over 25 colors and multiple lengths available to choose. If you want to highlight, you can mix any color that you like or to make ombre color for you. Tip hair extensions each bundle’s only 100gram, with 1 tip will be 0.8 gram or 1 gram. With tip we divided into flat tip, Nail tip, I tip, V tip, so some people ask me why we do it because it depends on customers’ demand properly. When it comes to hair extensions, there must be numerous companies which supply this product. 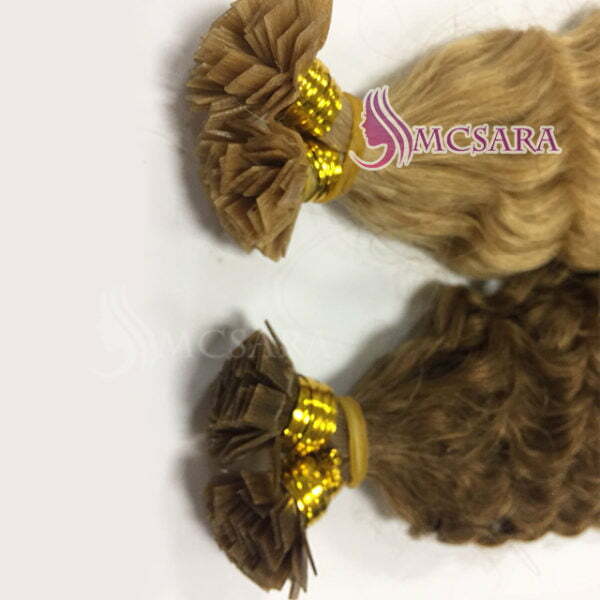 Among those, McSara is the one which provides high quality hair extensions from Vietnamese and Cambodian hair. 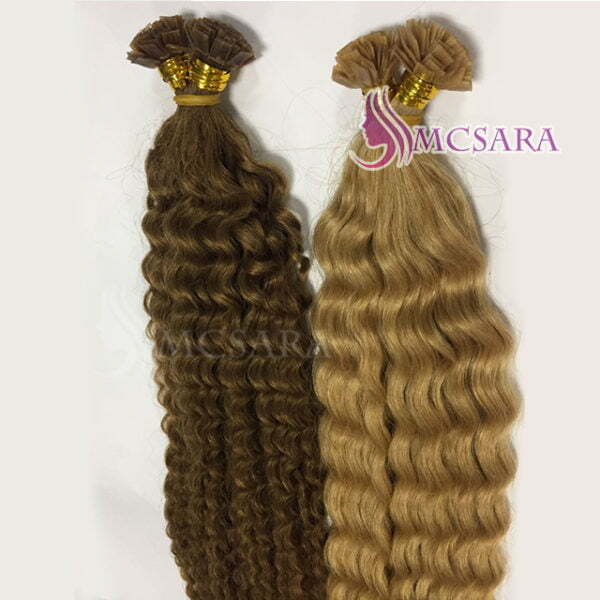 Although the products that the company offers are quite diverse, tape wavy brown color is always on the top hot hair extensions that many people buy.